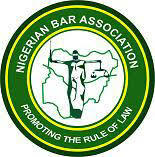 Please find below the statement by the Honourable President on the kidnap of Barrister Adeola Adebayo. 1. Our Ikole-Ekiti Branch Secretary, Adeola Adebayo, was kidnapped on Saturday, 17 November 2018 at Erio, a small town in Ekiti State and today, he spends his eighth day in captivity even though a ransom amount was paid to his captorsfor his release last Thursday, 22 November 2018. Adeola was driving from Osogbo with his wife and parents where they attended a social event when he was stopped and kidnapped. 2. One can only imagine the trauma that the Adebayos – Adeola’s parents, wife and young children – are undergoing. Our hearts go out to them even as we ceaselessly pray for the immediate release of Adeola from captivity. Meanwhile, we must commend His Excellency, Dr. Kayode Fayemi, the Ekiti State Government for his commitment to the immediate release of Adeola. We have been in touch with His Excellency as well as with the Attorney-General and Commissioner for Justice of Ekiti State, Wale Fapohunda and they give us confidence in this regard. We can only urge them not to relent in their efforts to secure the immediate release of Adeola. 3. As for the criminals who have kept Adeola in captivity these eight days, we will not stop praying that God touches their souls and consciences – or more correctly, the residue, if any, of their souls and consciences–sufficient for them to release Adeola to us, more so as the ransom amount has been paid. We press on them to please conjure for a moment the pitiable state of the Adebayos, the terrible distress and trauma that they are all undergoing right now, particularly, Adeola’s wife, kids, mother and father. If not for any other reason, we pray them, in the Name of God, to have some consideration for Adeola’s innocent and very young children and release their father to them forthwith. 4. This unfortunate incident again brings to the fore the state of insecurity and frequency of violent crime in our society. Lawyers appear to be under siege. Between September 2018 and now, we have experienced three reported incidents of violent crime – the murder of our ObolloAfor Branch Chairman, Emeka Agundu, the kidnap of our Auchi Branch Past Chairman, A AAtemoagbo and the attendant assassination of his wife, Joan, and now, the kidnap of Adeola Adebayo. These three incidents illustrate the abysmal state of security in our land and the pervasive and countrywide nature of these incidents. 5. Governments, through our law enforcement and security agencies, needs to seriously crackdown on these criminals in our midst. It must not be said or even considered that our law enforcement and security agencies are helpless in the face of these assault by a few criminal elements. We know that the national election season is upon us and there is the tendency for Governments at all levels, in these periods, to have a tunnel-view focus and deployment of resources primarily for their success at the polls. They must however resist that urge and remember that a safe environment makes for peaceful, free and fair elections; they must also remember that the primary reason for the election of governments into power is to secure the lives and property of the Nigerian people and provide an enabling environment for their socio-economic welfare. They must therefore focus on rounding up and bringing to book these criminals who make our lives so unsafe and hellish. 6. In particular, the intelligence gathering capabilities of our security and law enforcement agencies must constantly be enhanced; the agencies need to be well kitted and retooled, with superior weapons and ammunition with which they can combat these hoodlums; there is, furthermore, the urgent need for pervasive deployment of technology including the installation of CCTVs in all the nooks and crannies of our country for preventive crime detection. These suggestions are not exhaustive neither are they novel or out of the ordinary; we of the NBA as well as other well-meaning persons and associations have proffered these and other suggestions to Governments and their agencies on the issue of combating crime. Perhaps, what remains is the political will by our various governments to do execute these suggestions and do something about the crime virus that threatens our safety and lives. If there are challenges that are not known to the rest of us, Government needs to be forthcoming and open in discussing them with the citizenry and finding solutions thereto. 7. The time to act is now before the impression fully gains ground that a small band of bandits and hoodlums have the capability to overrun the State and its security and law-enforcement apparatus as it relates to the safety of our lives and property. That is an impression that this Government and indeed no government can ill afford.